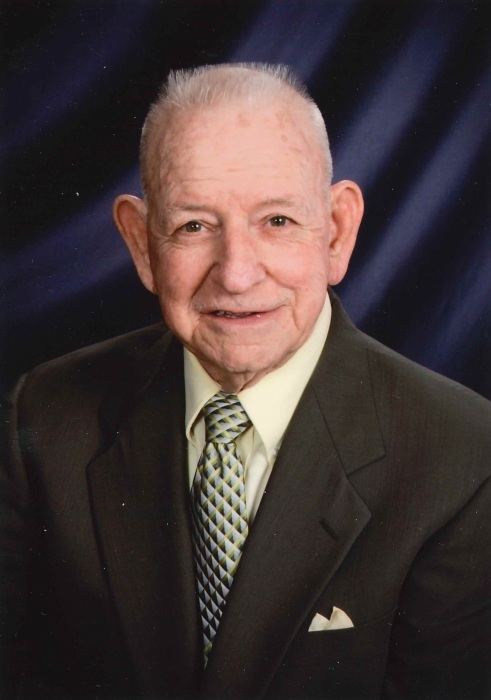 William (Bill) David Boyd, Sr., 86, went to be with the Lord on Friday, February 1, 2019, at Frederick Memorial Hospital surrounded by his family. Born March 8, 1932, he was the son of the late Steward and Margie Boyd. He was the husband of Carrie Hahn Boyd with whom he was married to for 63 years. Bill served 7 years in the National Guard and 2 years active duty in the Army Signal Corp. He was the owner of Bill’s Snack Bar in Emmitsburg for five years. He later retired from Moore Business Forms after 27 years. After retiring from Moore Business Forms, he continued to work at Emmitsburg Glass for 20 years until retiring in 2017. Bill enjoyed life as a whole and especially enjoyed following his kids, grandkids, and great-grandkids in all of their activities. He rarely missed a game for any of them. He enjoyed numerous outdoor activities. An avid fan of bluegrass music, he especially enjoyed playing his banjo with his Monday night gang and having coffee with his morning coffee friends. He was a member of the Piney Creek Church of the Brethren in Taneytown and frequently attended Elias Lutheran Church in Emmitsburg. He was also a member of Tyrian Lodge 205 of Emmitsburg where he served as Worshipful Master for 2 years and treasurer for many years. He is survived by children Bill, Jr., and his wife, Jo Ann; Bruce and his wife, Tracy; Tina and her husband, Greg Reaver; and Kevin and his fiancé Shawn; grandchildren Bruce Boyd, Jr., Beth Ohler, Sean Reaver, Jennifer Boyd, Matthew Boyd, Bradley Reaver, Carrie Reaver, Chastity and Codye Klein; and 10 great-grandchildren; brother, Robert Boyd, sister, Nancy Pearson, and brother-in-law, John Hart. He was predeceased by a sister, Bonnie Hart, and stepmother, Alma Boyd. The family will receive friends on Monday, February 4 from 2:00 - 4:00 and 6:00 - 8:00 pm at Stauffer Funeral Home, 104 East Main Street, Thurmont, where a Masonic service will be held at 7:30 PM. A memorial service will be held on Tuesday, February 5 at 11:00 am at Elias Lutheran Church, 100 W. North Avenue. Emmitsburg, Pastor John R. Greenstone and Pastor Stan Diehl will officiate. Interment will be private at the convenience of the family. In lieu of flowers, donations can be made to Piney Creek Church of the Brethren 4699 Teeter Road, Taneytown, MD, 21787, or Elias Lutheran Church, 100 West North Alley, P.O. Box 465, Emmitsburg, MD, 21727.